Diabetic retinopathy is a complication of diabetes caused by changes in the retina (see diabetes education and resources). It is one of the leading causes of blindness among adults. There are two types of diabetic retinopathy — background diabetic retinopathy, or nonproliferative diabetic retinopathy, and proliferative diabetic retinopathy. 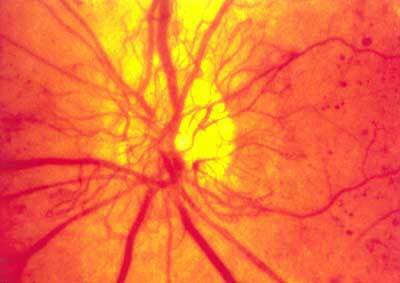 Background diabetic retinopathy occurs when the blood vessels of the retina are damaged (see picture). These blood vessels may develop leaks that can cause fluid or blood to drain into the retina. When this occurs, the retina becomes wet or swollen. Symptoms of background diabetic retinopathy can include blurred and/or distorted vision. This form of diabetic retinopathy can be treated with outpatient laser therapy to seal the leaking blood vessels and prevent further damage to the retina. Even if there are no visual symptoms, laser surgery may be needed to prevent vision loss due to these weak blood vessels. It is important for those with diabetes to have regularly scheduled retinal examinations because damage can occur before visual problems are noticed. 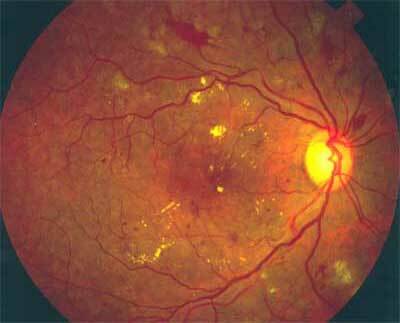 Proliferative diabetic retinopathy occurs when the blood vessels of the retina close. 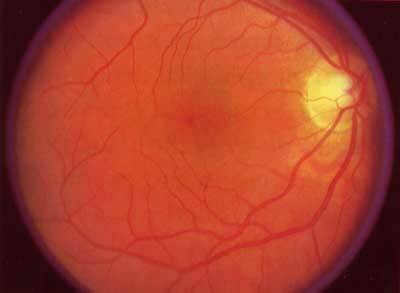 As a result, the retina does not receive proper nutrition and must grow new, abnormal blood vessels. Complications of the growth of these new blood vessels, called neovascularization (see picture), include bleeding, scar tissue, and a condition called rubeosis. Rubeosis is the growth of new blood vessels on the colored part of the eye, called the iris. There are several treatment options for complications of proliferative diabetic retinopathy including laser surgery and invasive eye surgery called vitrectomy. It is important for these complications from proliferative diabetic retinopathy to be evaluated and treated by a retinal specialist before further damage to the retina occurs and permanent visual impairment results. Proliferative diabetic retinopathy with neovascularization.